On this page you will find all the events relevant to the AS/NZ Chapter. This session is free to IDLSoc members and Australian Government employees. Registration is via the AS/NZ Chapter website under “Training”. We couldn't find any archived events for the Australia/New Zealand Chapter. A guest speaker will be present, outlining trends, issues and the way forward in regards to Tactical Data Links and the ADF. Location: The Integration Office -VMF Lab, 38 Townsville Street, Fyshwick. The Annual General Meeting will provide you with the opportunity to contribute to the future planning and development of the Chapter. Voting for the Co-Chairs for the next 12 months will take place on the evening. Please ensure your nominations are fowarded to the Secretariat by the 27th November 2006. The meeting will be held at the TIE Integration Office VMF Lab. During the session members will have time to view the Lab and its capabilities. Cost: $5pp - for Drinks and nibbles - pay on the evening. by Close of Business 27th November 2006. A few local and interstate members are heading to Legends the Spanish Restaurant for dinner and drinks after the meeting - please join us if you are available. To ensure an accurate reservation at Legends please advise in your RSVP if you can join us. Legends Restaurant , Upstairs Capitol Theatre Centre, Franklin St, Manuka. 1830-1900 start. The AS/NZ Chapter AGM/ Dinner will take place on 11 November 2010 at the Hotel Heritage, in Canberra. The Chapter’s Annual General Meeting will be followed by a dinner including a guest speaker from Defence and/or Industry. More details will be published closer to the date. This Master-class will provide students with the theoretical and practical aspects of Link 16 Network Management (NM) and Network Design (ND). It aims to provide students with the fundamental principles and an overview of the complex issues involved with Link 16 networks. This Free Masterclass is being run by ViaSat. If you wish to attend please contact AS/NZ secretary: Daniel.Caon@au.saabgroup.com. If you are interested in attending please Contact AS/NZ secretary: Daniel.Caon@au.saabgroup.com. Numbers are limited. The dealine for registrations is Friday 18 August 2011. This masterclass will be delivered by Tom Vart & Dibble Clark of 3SDL Ltd. If you are interested in attending please Contact AS/NZ secretary: Daniel.Caon@au.saabgroup.com. This masterclass will be run by Matt Shaw of the ADFTA. The masterclass will be delivered by Paul Czajkowski of NCS. This cousre will be given by Chris Beattie & Tony Bils of Aeronix Ltd.
All members of the AS/NZ Chapter are invited to attend the chapter's Annual General Meeting. The agenda is attached. A master class on Link 22 foundation workshop. If you are interested in attending please contact AS/NZ Secretary: Daniel.Caon@au.saabgroup.com . Variable Message Format/Combat Net Radio Advanced Workshop being run by Tony Bils and Ted Dubroff of Aeronix Inc. 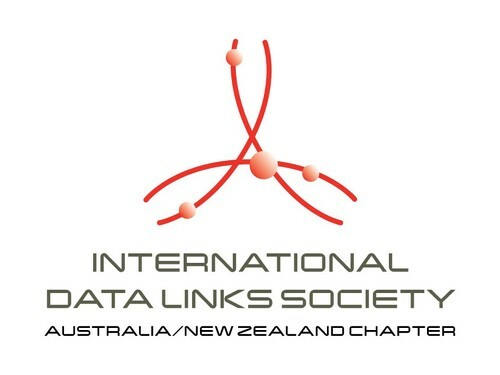 There are a limited number of free spaces available for IDLSoc members. Please contact the AS/NZ Secretary, Daniel.Caon@au.saabgroup.com to reserve your place. Contact Sally Gordon, sally.gordon1@defence.gov.au to reserve your place. The aim of the TDL Interoperability Summit is to inform stakeholders and the wider Defence and Defence Industry community of current and future issues concerning TDL in the Australian Defence Force (ADF). The focus of the TDL Interoperability Summit is to bring Defence and Industry together to develop an understanding of the issues and activities currently affecting the TDL community.